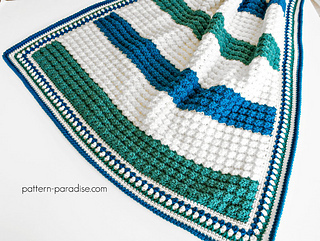 This blanket is designed with a grouping of simple stitches combined to produce a lovely texture that is completely reversible. 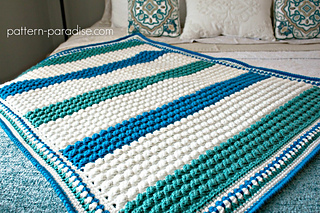 The blanket looks great in solid colors as well as stripes. 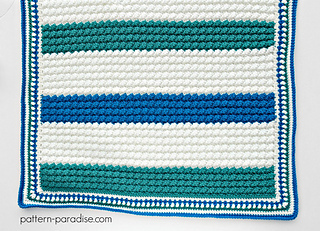 I chose to make wide bold color block stripes, but you could do this in any combination you like. 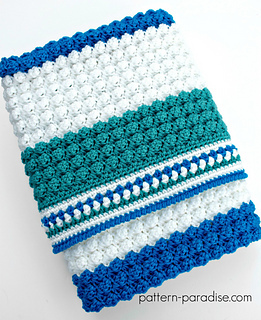 I sized this as a baby blanket at approximately 32” x 42”, but I provide the stitch multiple in the pattern so you can adjust it larger or smaller.